With our busy lives, the last thing we want to think about is what we are fixing for dinner. 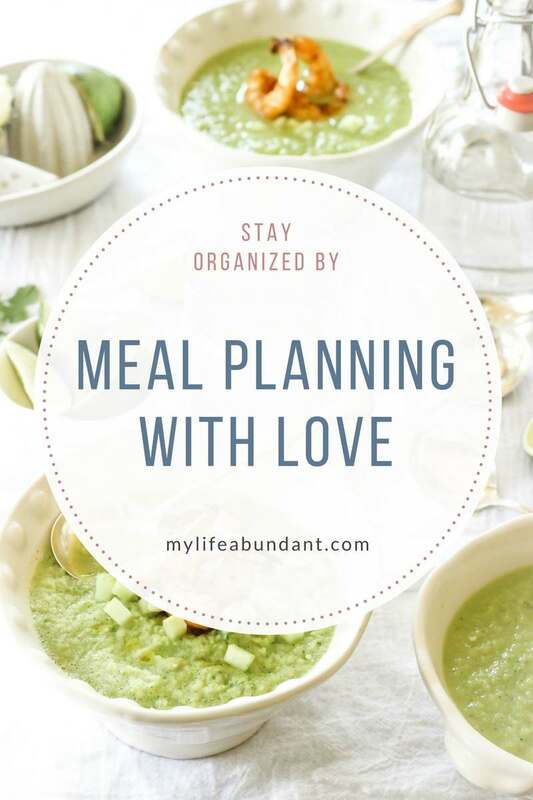 Stay organized with my meal planning ideas. I have been basically an organized person all my life. My home is organized, you can find things in the office, I keep a calendar at my desk all the time with things hubby and I have planned and you can actually find things pretty easily in my closets. But, one area where the organization wasn’t a very strong factor was meal planning. Yes, there is only 2 of us and I can imagine a mother of 4 reading this post and thinking I have no idea how easy it is to menu plan for a family of 2! And that’s probably true. But for some reason, I made it very hard to plan a meal every night. (We have a small breakfast or sandwich and then a nice dinner together every night). Every night I would ask Mr. G the same question, “What would you like for dinner honey?” And I always got that same answer, “I don’t care.” I DON”T CARE doesn’t figure out what’s for dinner. Girls, I know you have heard that before. Day after day of frustration with the same answer, hubby finally suggested making a list of the meals we like and make a monthly meal planner. HUH? Something that easy is going to make my life better and I won’t have to ask the dreaded question anymore? I told him I would give it a try. Well, I am hear to say after over 6 months of planning meals by the month, he was right! I hope he isn’t reading this post. The print out sheet is an excel file and you can change the month to whatever you want it to be. I print out the sheet, put the dates in the red circles and write in what my meals will be in each day. Tuesday and Thursday are left over days for us. It’s hard to cook for 2 people without some being left over and thank goodness I have a hubby who doesn’t mind them. 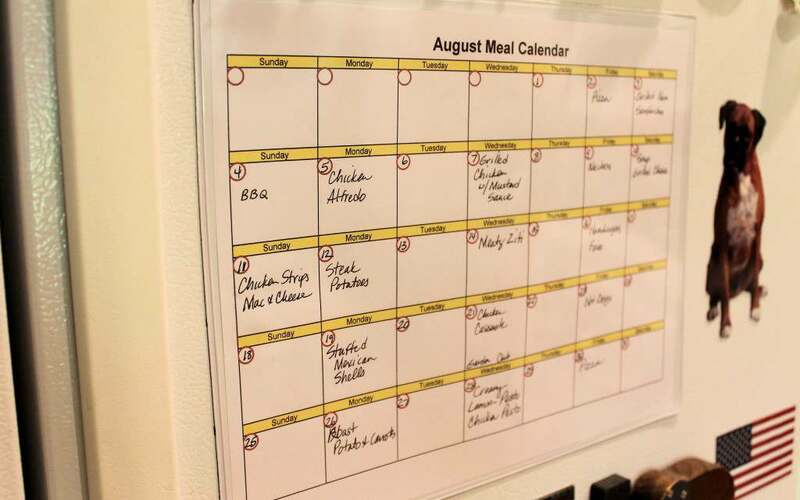 The Magnetic 8.5-Inch x 11-Inch Photo Frame I purchased at Amazon and the reason I use this is that it’s so humid down here that if I leave a piece of paper that size on the fridge all month it will sag and droop. The clear magnetic photo frame is great and serves its purpose and looks nice on the fridge. But this item is strictly preference. It also works great on keeping sticky fingers from smearing all your hard menu planning. Hubby loves looking on the menu to see if some of his favs are there. I keep all the past months in a file so I can look back to see what I have made in the past. Not that it would matter to hubby if I used the same menu over and over. He loves to eat! I’m the one that likes variety. I love making my hubby happy and meal planning is just one. I try and work on all aspects of being a Christian wife and enjoying our loving marriage. One thing I like to do is read a lot of publications with a Christian faith background. The more I read how faith works in a marriage, the more I feel the love of God in our lives. 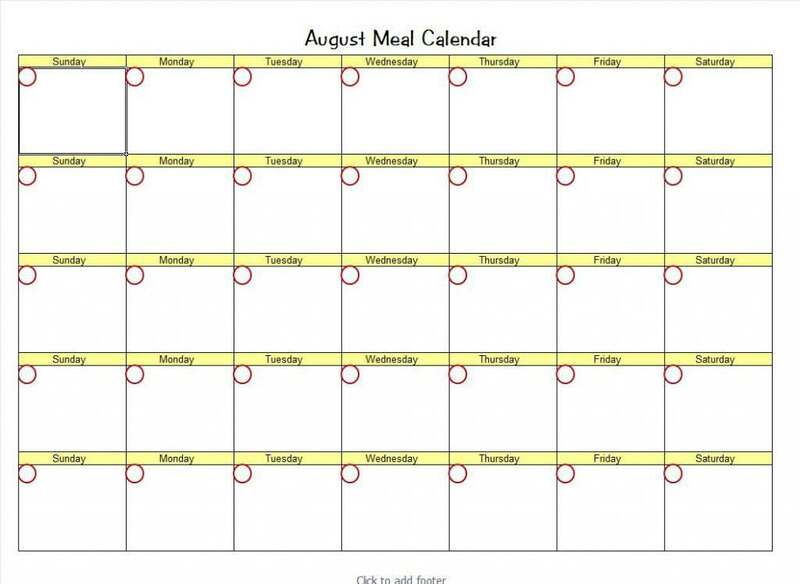 I hope you enjoy the meal planner to help out with keeping your marriage full of faith, happy and organized.